Joel garnered his first hands-on real estate skills as a teenager in Philadelphia where he worked for several years on the maintenance crew of a classic 1912 apartment residence. The job taught him early how to work with historic building experts in every trade and how to keep residents happy with creative problem-solving. Joel moved to Washington, DC to attend American University, where he obtained a degree in psychology. Those twin foundations – the physical and psychological – have been invaluable throughout his life as an agent and consultant, as he leads people to align their competing objectives for mutual success. After six years working in cities and towns across the country Joel, and his wife Thonya, returned to Washington in 1998. They fell in love with Capitol Hill and immediately began finding and renovating historic homes in the neighborhood. In 2001 Joel committed full-time to helping others make good purchase and sale decisions as a licensed agent. 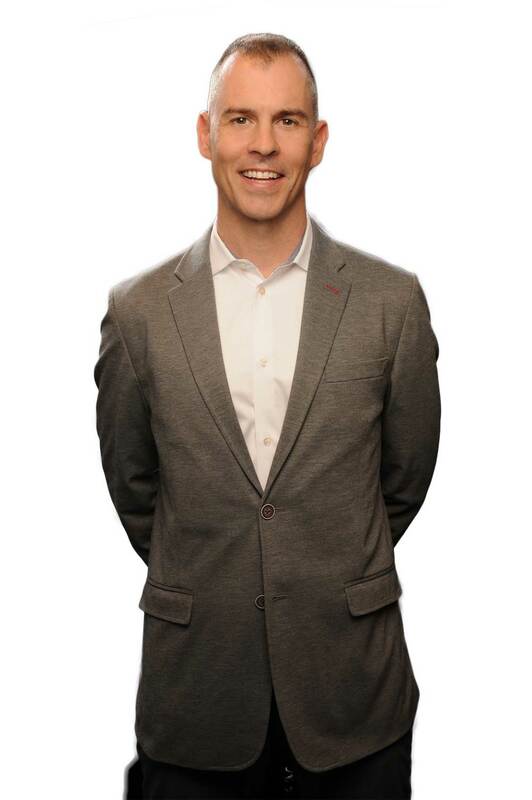 Ten years ago the Joel Nelson Group joined like-minded agents in founding Keller Williams Capital Properties (KWCP), the first KW office in DC, and the fastest-growing brokerage in the capital. Joel and his team have varied and hands-on experience as counselors, investors, renovators, and marketers. They are unparalleled in their dedication to client service, and make extraordinary advisors and guides as their clients achieve their individual goals in the vibrant neighborhoods of the Nation’s Capital! Joel and his team were fantastic! They were easy to communicate with, available to answer any question, managed the sale long distance, staged the place beautifully, had it on the market for less than a week, achieved a sale price 7% over the ask and closed in under two weeks. I don't know what else needs to be said! Joel Nelson sold us our first home, and nine years later he helped us sell it to a new happy family. I could not recommend him and his team more highly. They made the process straight-forward and pain-free - terms not usually associated with real estate transactions. Communications were excellent all throughout the process. The extra steps Joel took even in the intervening years when I had questions that came up showed me how much Joel cares about the historic homes of Capitol Hill, about the community and the neighborhood. We recently sold our home and the Joel Nelson Group exceeded expectations! We really appreciated their superior customer service and their expertise of the Capitol Hill real estate market. From day one Joel’s team took the lead and handled the prelisting renovations, the staging of the house, and everything else we needed to get our home ready to sell. We listed the house on a Thursday, held the open house on Sunday, and had a ratified contract by Tuesday! The entire experience was stress free and fantastic. We couldn’t be more satisfied. The Joel Nelson Group is highly recommended. Trustworthy, professional, and knowledgeable -- Joel and his team make every piece of the real estate transaction flow smoothly because of these traits. Joel prepared, staged and professionally photographed our house for market. The result: he secured a solid contract in less than 6 days with excellent terms and achieved an outstanding overall result. Our move was seamless and we couldn't imagine it going any better -- We can't thank Joel and his team enough for providing the best service ever received while living in DC. Great people, amazing results, out-of-this world value. Thank you!!! My wife and I worked with the Joel Nelson Group to both sell our previous home on Capitol Hill and purchase our new home. Joel Nelson assisted us in selling our old home on Capitol Hill. Joel has a deep knowledge of the Capitol Hill market and an eye for setting up the home for sale. He gave us great suggestions on small improvements that we could make to the house that led to a great return on our investment. Joel worked with us to lay out a schedule for getting our house on the market and kept us informed throughout the process. Buying and selling a home is a huge ordeal, but Joel, and the rest of the wonderful staff at the Joel Nelson Group helped us through the process. They were great and my wife and I highly recommend them for all your real estate needs! Joel Nelson and his team were a complete joy to work with in the selling of our home. They've actually reinvented the process, taking as much burden off of the homeowner as possible. Every step of the process was handled with extreme professionalism and aplomb. We highly recommend this team to anyone in the Washington, DC, Metro Region. Best Realtor Ever. Selling our house of 29 years, and buying a new home, was daunting, but Joel and his group made it a smooth and stress- free experience. Joel guided us every step of the way. He is amazingly knowledgeable, ethical, and personable. Joel and his team were superb in every aspect of the sale of our Capitol Hill home. I have sold several houses both with and without realtors and this sale was by far the best. And it wasn't just because it sold in one week, the week of a giant snow storm no less (open house was the day after DC got 2 ft. of snow.) Joel's business model is unique: he and his team manage any renovation that needs to be done to make the house presentable and staging is part of the package---no extra cost! Also, the marketing materials are slick and modern. Finally, Joel's winning personality and professionalism made this stressful process much less so! Congratulations on outstanding work by Joel and his team in advising, staging, marketing and closing on the sale of my Capitol Hill townhouse in the spring of 2016. He (they) prepared a marketing plan, advised well on pricing the property, staged the property, and executed an intensely focused push to find a buyer. The house was under contract a week after it went on the market. A group of real pros. I am a very happy seller. I cannot recommend Joel Nelson highly enough. Simply put, Joel knows the market and can identify low-cost improvements to your home that will increase the value of your house. Joel and his team made selling our Capitol Hill home one of the easiest, least stressful things we've ever done! From the first meeting we had with him until closing, Joel was always responsive and kept us in the loop. In just a couple days, we had multiple offers over asking. Joel and his team took care of everything- coordinating small repairs to be done, cleaning, staging, the open house, and closing. It was a very smooth process and to top it off, the entire team is just genuinely nice and excited to be working with you. My husband and I couldn't have been more pleased with the outcome of our home sale and we both highly recommend Joel! Joel Nelson sold for me my home on Capitol Hill in Washington, D.C. From the moment he took my telephone call through the closing and even afterwards, I received top-notch service. While engaging me in all aspects of the process, I felt that I could leave almost everything to him--including all aspects of the negotiation with the buyer--he engenders trust. He's the best! We decided to sell our Capitol Hill row house after we had left the DC area and rented it out for a while. We cannot say enough about the positive experience we had with Joel and his team - they provided valuable advice and guidance at every stage in the process. After a single walk-though with my husband, Joel took it away and not only were we pleasantly surprised by the eventual sale price, but we were able to complete the sale remotely from start to finish! Joel proposed some improvements to the house, hired competent and reasonable providers to execute the projects, and completed the projects ahead of schedule and in-budget. He then staged the house free of charge, which is huge value-added. Most importantly, when the house was ready to go, he recommended listing it when the weather remained unseasonably chilly, just before the real estate season really began. We were hesitant to do so, but we are so happy we followed his advice! In the end we had multiple offers after barely lifting a finger to get the house in shape for sale. To name just one example of a personal touch - on the day of our open house, he personally shoveled the snow on our front walkway! It is clear to us that Joel is an expert in Capitol Hill real estate and that he and his team are personable, professional and responsive. We already have recommended him to our friends, and will continue to do so. Joel is the best professional we have ever dealt with in a transaction, and both my wife and I are lawyers and very picky. If you want someone to deal with every detail of selling your house, including recommending and coordinating extremely cost-effective and strategic repairs to your house, as well as full staging, Joel is your man. At every turn, Joel negotiated the situation brilliantly, and he always kept us informed and made us comfortable he was achieving the very best outcome. Bottom line, he has YOUR interests in mind and heart and will achieve the best possible net sale you could hope for. Joel and his team are amazing. Would absolutely love to work with them again. I give the strongest possible endorsement. No Realtor team we interviewed even came close. Great job! Enter your email address below and be the first to know about the latest news from Joel Nelson Group.